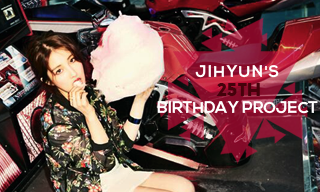 4MF celebrates 4minute's leader's big day! The magic will unveil once you log in or register to become a member of 4-minutes. Find out how to participate in the forum's latest projects to support our girls or even check for special member projects as well! Our beautiful eye-smile diva leader! Namgoddess will be sure to captivate you in even under four minutes! Come inside and fall for her bizarre charms! 4minute's main vocal, our luxury queen Gayoonit! Don't let her tough exterior fool you, join the fans here who know all about the sweetness that is our second oldest princess! Full of charisma with a dash of aegyo! Lead vocals Jiyoonit is definitely one of a kind! Come and chat about this unique princess here in her individual forum! 4minute's own dancing queen! Fans are free to spazz here about all their favorite whiny moments from Ms. Rap Supreme, Kim Hyunah! Crying baby maknae! Kkwonsso's fans have a place to mingle in this forum! Discuss and meet other fans of our mature youngest diva! A New 4nia has been born!